There are no city breaks as sure to excite kids and teenagers more than New York. The city that never sleeps is perhaps the most evocative of all the world’s cities, and it is overflowing with sites and activities that young ones will love. With plenty world-class museums, world-famous landmarks, and some of the best shopping in the world, there’s nowhere quite like the Big Apple. Here are Four Places in New York City that Kids Will Love. 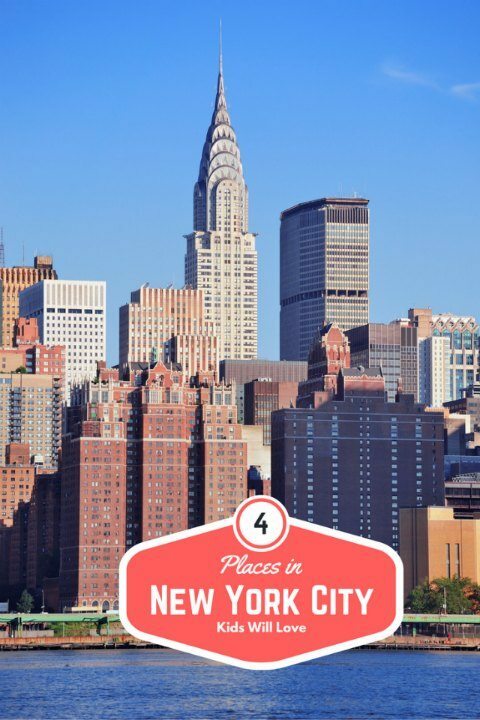 your trip, we’ve compiled the top four things in New York that kids will love. best view of the Empire State building of all. filmed locations in the world, you’re kids we be amazed that they recognize so many of the locations. fossils, meteorites, and other fascinating exhibits, this is an excellent way to get kids excited about the world around them and have fun doing it. famous New York Knicks basketball team and the New York Rangers Ice Hockey Team, there is a good chance that you can catch a match while you are there. The Gardens also host some of the biggest acts in popular music, so checkout the listings before you go and see what’s on! What locations in New York City would you add to this list Places in New York City that Kids Will Love?